Some Walmarts Drop Prices On TBS6 Speeders AGAIN! Only a couple weeks after their release, Walmart dropped the prices of The Black Series 6″ Centerpieces from $49.99 to $34.99 and The Black Series 6″ Rey and Luke Speeders from $59.99 down to $44.99. 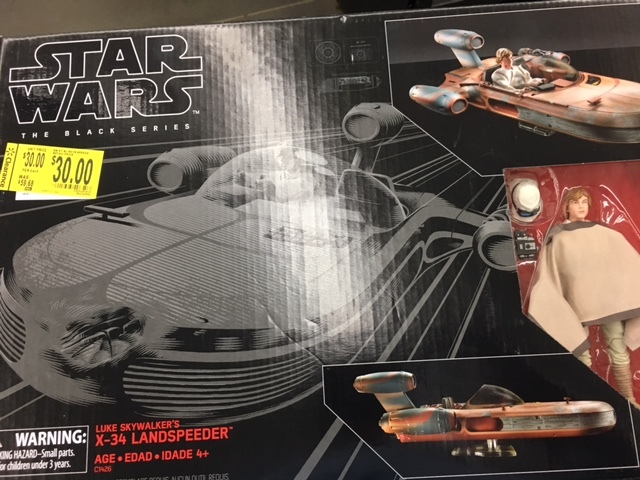 Now, it seems that Walmart are lowering the prices of the Speeders once again. JTA Reader DLane5871 shares a find at a local Walmart in Durham, NC. 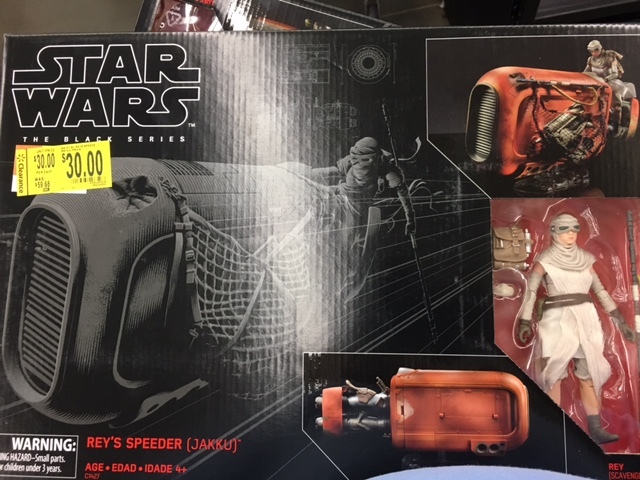 Both Rey and Luke Speeders were dropped to a mere $30! At this price, I would happily grab a couple more (I must admit, they make excellent display pieces). Have you see these prices near you or in another store? Let us know!